Hubby, aka “Bikeman”, and I have figured out a way to combine our hobbies. We drive to the mountain bike trail, I drop him off, I go thrifting while he rides, I come back and pick him up, then we got eat. Thrifting is my cardio! 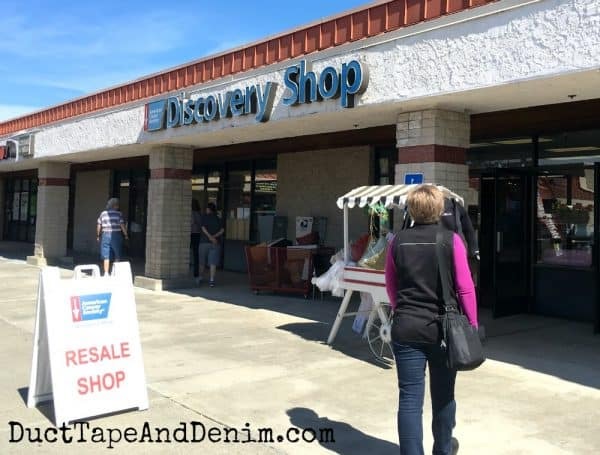 lol… Today I’m sharing my favorite thrift stores in Roseville, California, from a trip a few months ago. My daughter and son-in-law came along, too. Let’s start with our least favorite. The American Cancer Society Discovery Shop was probably the smallest shop we went to that day. They had a lot of clothes but not what we were looking for that day. We left without buying anything. One of my favorite things about shopping at thrift stores is that many times I’m helping support charities. At the ReNew shops 100% of all profit goes to support Acres of Hope, a faith-based long-term residential renewal center for homeless women with children which provides support and resources needed to end the cycle of homelessness. I love supporting a ministry that focuses on transforming lives and building relationships between homeless moms and their kids. Plus, their displays were the best we saw that day. More like shopping at a vintage or antique shop than a thrift store! 1725 Santa Clara Drive, Roseville CA 95661, acresofhoperenewstores.org. 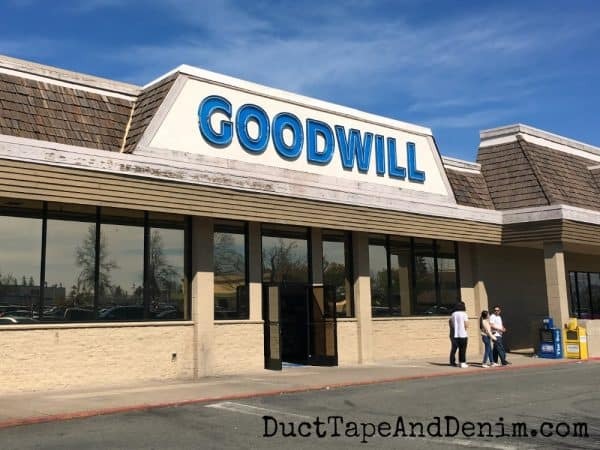 Goodwill is probably the most recognized thrift store brand. The Roseville Goodwill didn’t disappoint… It was huge and chaotically organized. By that I mean that there were clearly defined sections but within those sections the products for sale were just piled up. (See photo above.) Which I don’t mind if the price is good. And the prices were good that day. I found a wooden recipe box for $2.19, a spice rack for $3.19, several jewelry cabinets for $4.99-$6.99, and a couple of other pieces. Jordann got a few items of clothing. Plus, I was wearing one of my junkin’ t-shirts and another customer stopped me to “talk shop”. She gave me the names of a few other places in Roseville. We’ll visit those and add them to the list later. 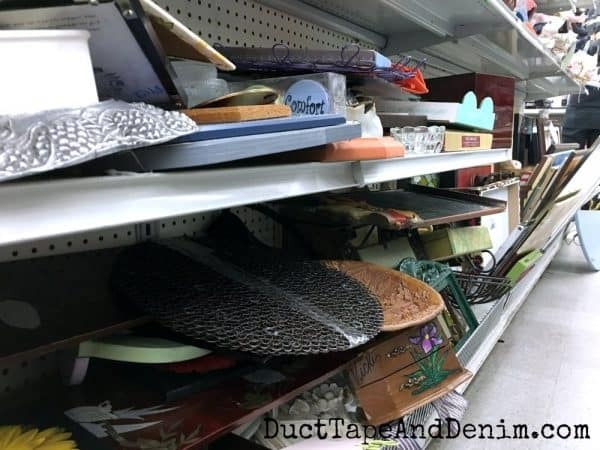 OK, I wouldn’t really include this in the same category as the other thrift shops in this list but if you’re shopping in Roseville you need to go to the Antique Trove. In fact, you need to schedule a few hours to shop there! It’s huge — over 40,000 square feet and 200 vendors. I never leave without buying something. This is where I bought my ammo box. And I always find vintage Bingo cards here. Thanks for reading! Let me know if you know of any other thrift stores in Roseville that we should try out. I’m so glad to hear that! I’ve been to some of the shops in El Cerrito, too. Hope you found some great stuff!